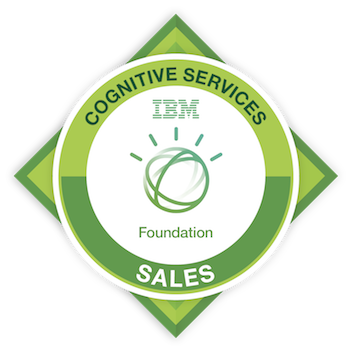 This badge earner has foundation level skills in Cognitive solutions that prepare them to initiate sales conversations with clients. Completion of 1+ classroom course(s) focused on Cognitive offerings and solutions for relevant industries. The course must contain a stand and deliver element to ensure learners have demonstrated the ability to sell Cognitive Solutions.